Basketball. Just me (that guy that I like so much had a church retreat all day) cheering for the babe of the family. Brian scored 10 points and his team won by 54...which meant after he scored his 10 points they yanked him out and I played games on my iPhone to pass the time. Church at our home church. #1...I love the earrings I was wearing. 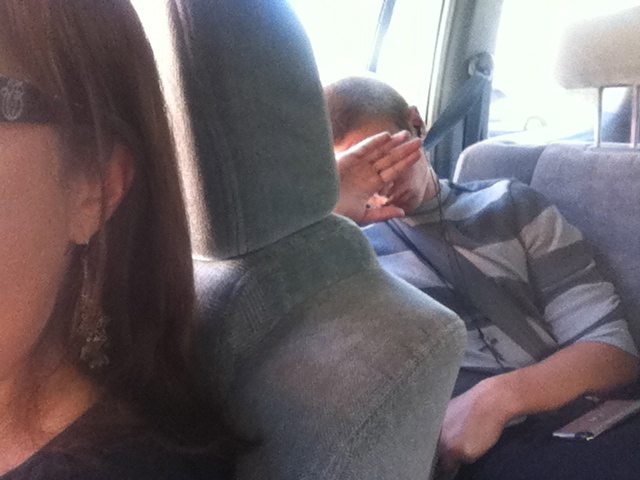 #2...the kid in the back had a serious case of low blood sugar. #3...GREAT sermon. After church, a visit to In n Out for a cheeseburger...animal style. It was pretty much the best thing I ate all weekend long...it tasted SO good. I think we need to find lunch buddies at our new church...there's just something about going to lunch after church that seems so grown up. And fun. Football. A houseful of boys. A stir crazy mama. A 4 1/2 mile hike in the heat of the day. It felt good when it wasn't feeling long and horrible and hot. 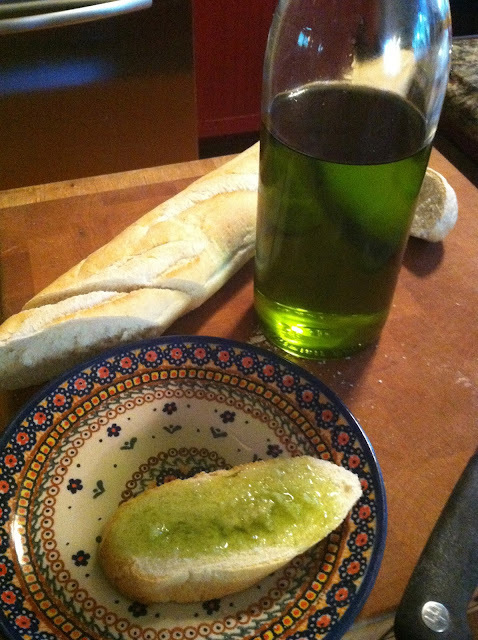 Late afternoon snack...the best, most incredible, most amazing olive oil I have ever tasted. Extra virgin and GREEN...YUM. We stood in the kitchen and soaked our bread with the liquid gold and then ate it while it ran down to our elbows. Oh my...was it ever good. Only problem? We all ate so much that by the time the roast chicken came out of the oven we were all full. This week is supposed to be hot...like 90 degrees hot. I was watching all the neighborhood families walk up to the pool today...I'm thinking I might spend my afternoon there tomorrow. Mother Nature obviously hasn't gotten the memo that it's Autumn...but yet it is. The humidity is gone and while it gets hot in the middle of the day, the nights are cool enough that you need to curl up under the blankets. Blankets on the bed? Makes me happy. 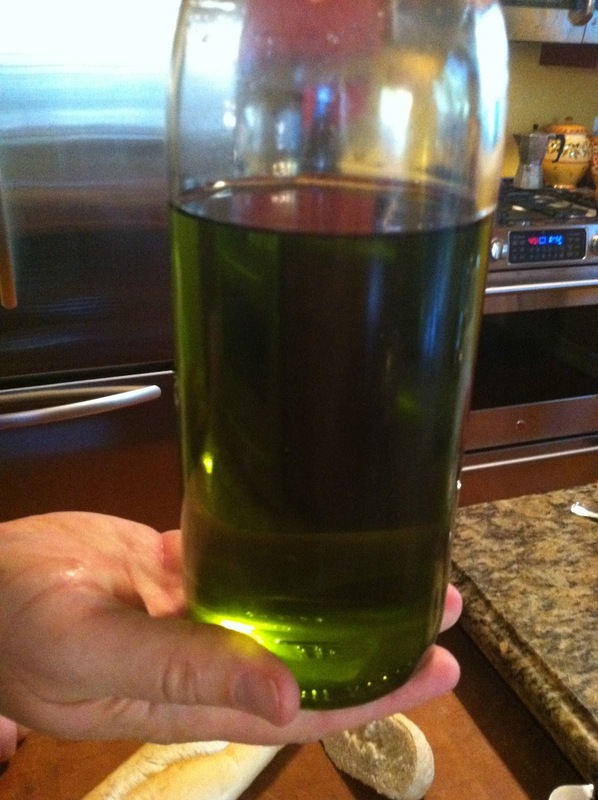 So does that green olive oil...mmmmm. I am enjoy reading your blog, thanks for sharing!